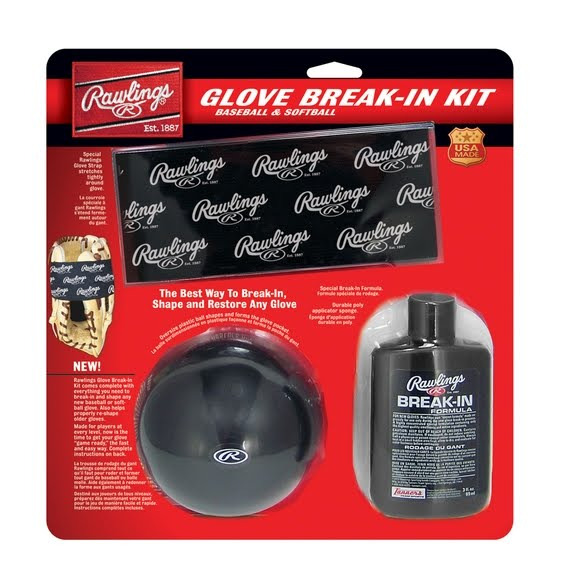 Break-in, shape and restore any baseball or softball glove just like the pros. This kit is developed for players at all levels and is the fastest and easiest way to get a new ball glove broken-in and "game ready." This kit features a special strap, oversized ball, Glovolium Break-in Formula, hydra applicator sponge, and complete instructions.